for more information on IITA. Contribute to multidisciplinary research design, development and implementation of activities aimed at evaluating/validating technologies and technology packages for sustainable intensification agricultural systems in the project sites and beyond. Give direction and leadership to project team members on the importance of inclusive socioeconomic research components in integrated agricultural systems research. Analyze how proposed agricultural technologies fit into farm households’ current conditions for sustainability (labor requirements, timing of labor requirements, social acceptability, gender, cash requirements etc.). Develop multi-criteria decision support tools and databases for better targeting and greater impact of project interventions. Evaluate the economic profitability, environment benefits and social acceptability of alternative technologies or options addressing challenges identified through co-learning (R-in-D). Conduct ex-ante impact assessment of selected technologies on the project’s five sustainability domains for prioritization and scaling up of project interventions. Undertake economic and social impact assessment of individual interventions or treatments from plot to farm (household) and landscape (community) scales. Conduct selected adoption studies of the project’s technologies and technology packages to measure uptake and benefits in project sites. Collaborate with the project’s M&E specialist to produce and ensure availability of information on key indicators of success of the project, especially Feed the Future and sustainable intensification indicators. Contribute to overall Africa RISING program impact assessment. Publish research findings and contribute to dissemination of research results and development outcomes to stakeholders. Maintain regular communication with Africa RISING scientists in the intervention countries. Mentor and supervise project socio-economic research associates, field technicians, interns and postgraduate students. 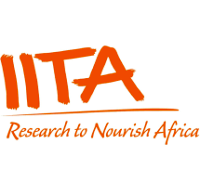 Become an active member of IITA’s social science group and contribute to efforts aimed at defining and implementing IITA’s social science research agenda. Carry out any other assignment given by your supervisors. Good knowledge of New Institutional Economics approaches for inclusion in farming systems research. 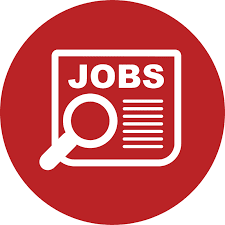 Competence in the multi-criteria statistical analysis of the farm and field data for the assessment of effects and trade-offs in the agricultural intensification domains, and a strong commitment to relating the outputs to societal goals. Experience with developing simulation or optimisation models for agricultural intensification. Ability to work in a team with people from a wide range of backgrounds and disciplines, and a flexible, positive, and problem-solving attitude. Proven publication record in international journals. Experience with the development and writing of research proposals for support from different donor agencies. Knowledge of agricultural systems in East and Southern Africa is desirable.